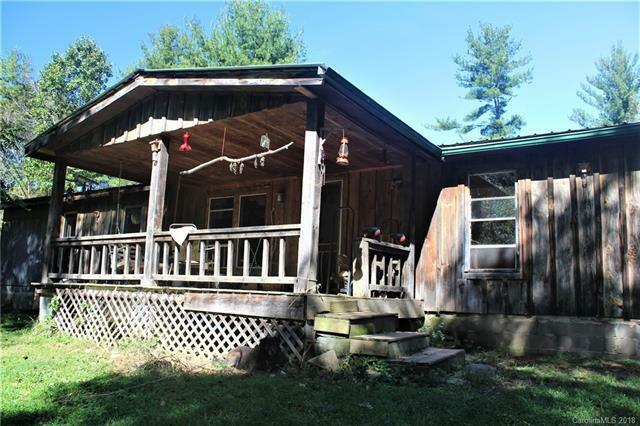 Leave your stress and worries behind and enjoy this truly unique property situated on completely private 5.710 acres in the pristine Western North Carolina Mountains. This 3 bed 2 bath home offers everything you need to unwind. Split floor plan with open living area, covered front porch, hearty wood burning stove for chilly nights. Plenty of flat level area with southern exposure ready for your garden. Large workshop and covered space for cars or outdoor equipment. Beautiful end of the road privacy where you are surrounded by breathtaking untouched nature. All the while being close to epic hikes on Max Patch/AT, rafting on the French Broad, world class fishing on the Lauel, biking the Pisgah. Yet close to all the restaurants and shops Hot Springs has to offer. This is your opportunity to truly enjoy the serenity and solitude of the beautiful WNC Mountains. Sold by Real Mountain Properties, Llc.